Since January 2nd 2011 the new, far-reaching Spanish Non-smoking Protection Act is law. This has considerably tightened the regulations of the law from 2006. The previous special rules, such as separate smoking areas in restaurants, or free choice in bars, no longer exist. Smoking is prohibited in public buildings and public transport (including taxis), at workplaces, railway stations, discotheques, bars and restaurants. Tobacco consumption is also not allowed outside the grounds of hospitals, health centers, schools and kindergartens. Smoking is permitted on terraces (e.g. restaurants), in one’s own home and balcony, in sports stadiums, in hotel rooms - if not prohibited by the owner - and in the fresh air with the exceptions explained above. Most hotels have both smoking and non-smoking rooms. You can specify in the booking process, whichever you prefer. The penalties for violation of the Non-smoking Protection Act are draconian, especially for the owners of bars and restaurants. The anti-tobacco law will be secure as the existing rules are strictly monitored and enforced. Up until recently Spain and Barcelona had a reputation whereby the smoking in pubs and bars was so heavy that you couldn’t see your hand in front of your eyes, and that the smoking bans were consistently ignored. But this is definitely not true for Barcelona, even if the media wanted to give that impression with the introduction of the new non-smoking protection law. There were also enough exceptions whereby you could legally sit in a smoking restaurant or bar. Therefore there can be no question that there was collective disregard for the law. More than half of the bars - they had a choice between smoking and non-smoking restaurants - had already opted for the non-smoking version, and many had not established a non-smoking restaurant area, although it would have been possible for them. Whether or not the feared drop in sales because of the new non-smoking law - with about 70% non-smokers - takes place, remains to be seen. 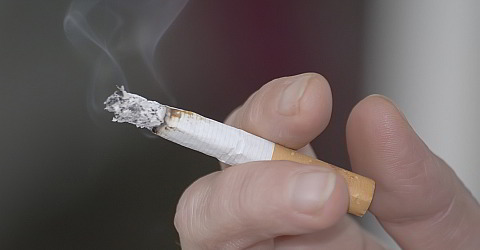 Many smokers favour the strict law, although there has been a well-functioning system up until now.